While the MSN1 is now undergoing a routine maintenance and its flight test equipment is being upgraded, the MSN3 is completing it´s stage in the station 30. 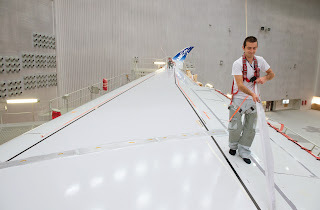 In parallel to the MSN1 resuming the flight tests in the first weeks of August, the second flight test aircraft—MSN3—will be moved to the painting shop and to the station 20 for the engines installation. 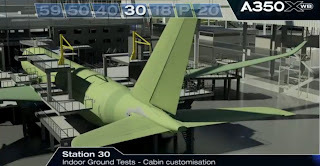 MSN3 will be fitted with heavy flight test instrumentation and will be used for performance, high altitude, hot and cold weather testing, as well as systems and powerplant tests.